The boreal forest in northern Canada is no stranger to forest fires. With the fire in Fort McMurray packing a particularly heavy punch, CBC Radio science columnist Torah Kachur looks at the science of fires, and how we fight them. 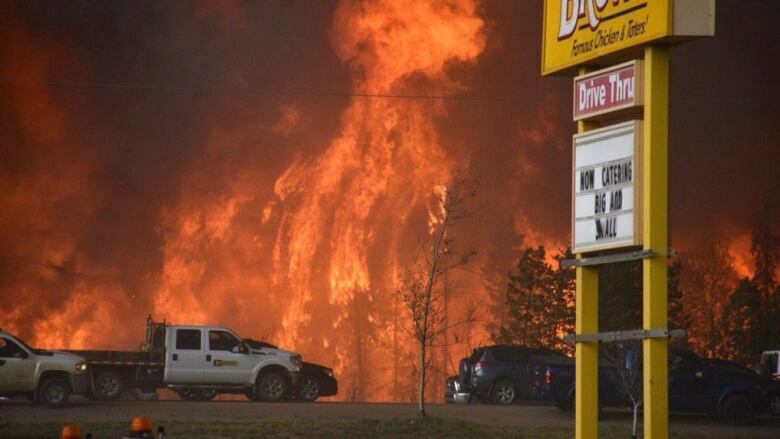 The wildfire that forced the evacuation of Fort McMurray, Alta. has been described as "catastrophic." But the boreal forest in northern Canada is no stranger to forest fires. Just last year, more than 13,000 people were forced to flee northern Saskatchewan, in and around Lac La Ronge, because of a looming forest fire. With the fire in Fort McMurray packing a particularly heavy punch, CBC Radio science columnist Torah Kachur looks at the science of fires and how we fight them. Scientifically, what's happening in the fire itself? Fires are very unpredictable, and that's why the situation changed so rapidly in Fort McMurray. They can spread at rates of 23 kilometres per hour when whipped up by winds for as long as fuel is available. Fires need a trifecta of fuel, oxygen and heat — that's called the fire triangle. It's been hot and dry around Fort McMurray, and a spark somehow started the fire. But then the fire takes on a life of its own. We've been watching weather forecasts — hoping for rain and an abatement in the wind — but it's not just external weather and winds that cause fires to gain momentum. Wildfires produce their own wind, called indrafts, which can gust up to 90 kilometres per hour and can often overpower the synoptic or large-scale winds that come from the outside. These indrafts are caused by the hot air rising and cooler air rushing in to take its place. This can cause fires to move in unexpected directions and with unexpected intensity. Yesterday there were reports of fire whirls observed in the fire – these are fire tornadoes. This is when the indrafts can become so powerful that they can generate firewhirls, or firenadoes where the fire burns skywards throwing flames and burning debris up into the air. This is really the sign of the strongest type of wildfire. Indrafts and fire whirls create a self-sustaining process where the fire supplies itself with more oxygen for burning. As long as fuel is available and it stays hot, the fire will continue to burn. How do wildfires spread through a city? If the winds continue to blow the fire into town, it will continue to burn. In cities, there are a lot of so-called "flashy" fuels — fuels that burn fast. Those are things like dry grasses, twigs, wood-framed or wooden walls — anything that has a high "surface area-to-volume" ratio, which means the material provides a lot of room to burn, but isn't dense enough to suffocate the fire. Homes, vehicles and sheds also have high surface areas and low volumes, so a powerful fire can thrive in a city so long as it can jump the roads. Roads would normally act as a natural fire break, but if the winds whip up and embers get scooped up and tossed to the next house, it can continue to burn. The possibility that the fire will slow in a downtown area is there — parking lots, more concrete and more brick in buildings mean it's harder to burn. What is the science behind fighting fires? You have to remove one of the factors of the fire triangle — heat, oxygen or fuel. The strategy when something is burning this hot and this fast is to remove fuel. That's the number one priority. That might be done by with firebreaks, either by creating what's called a backfire — a fire that burns fuel ahead of the fire so it has nowhere to go — or simply removing fuels by removing fallen, dead trees and dried leaves, and getting rid of twigs, grasses and other flashy fuels. Areas that are used to seasonal wildfires like California have procedures in place to educate the population about how to remove fuels from around houses to create firebreaks in the communities. It's generally very difficult to remove fuel in an urban setting like Fort McMurray without controlled demolition of houses. But the crews are dousing strategic buildings that may act as a fire break — the water can remove some of the heat from the equation. Fort McMurray is in dense boreal forest, where fire is a natural part of the ecosystem and fires are common, but not usually on this scale. Another firefighting tactic is to bring in water bombers. 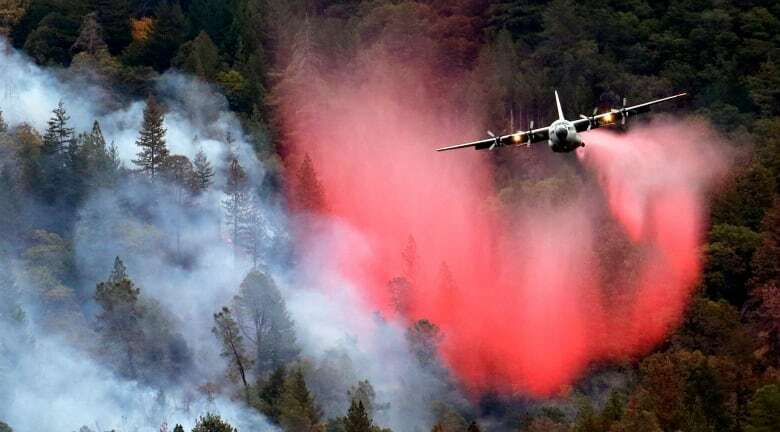 You might also see planes spray a red material all over the fires, or more specifically ahead of the fires. This is ammonium sulphate or ammonium polyphosphate — a flame retardant that actually lowers the combustion temperature of fuel. The key is that the fuel doesn't burn as completely and leaves behind a lot of wasted fuel as residue or char. So the fire retardant reduces the amount of fuel that a fire has by burning less of the fuel available. There has been some controversy over using these kinds of flame retardants in fighting forest fires because they act as a fertilizer for the burned areas — and that's not necessarily a good thing. Wouldn't applying fertilizer to a burned landscape help it recover? It would, and in a way, that's what the thought was when it was first used. But the problem is that fertilizer will often encourage the growth of weedy, rapidly growing plants after the fire has passed through. The problem with that is that the weeds can take over the ecosystem and not allow the more native plants — in this case, the evergreens of the boreal forest — to get a foothold to restore the native habitat. It should be pointed out that the boreal forest is used to fires. In fact, fire can be beneficial for some species. For instance, the jack pine and the lodgepole pine only regenerate after fire. These pine trees have a couple of really interesting adaptations — for one, they have seeds that are carried long distances in the wind, which allows them to disperse rapidly. But more importantly, they have cones that are covered in a waxy coating that requires the heat of the fire to release the seeds. There's no controlling a fire the size of the one in Fort McMurray. It's about bracing for the impact and mitigating damage as best we can. The only thing that will stop this fire is water — or simply running out of fuel. Torah Kachur is the syndicated science columnist for CBC Radio One. 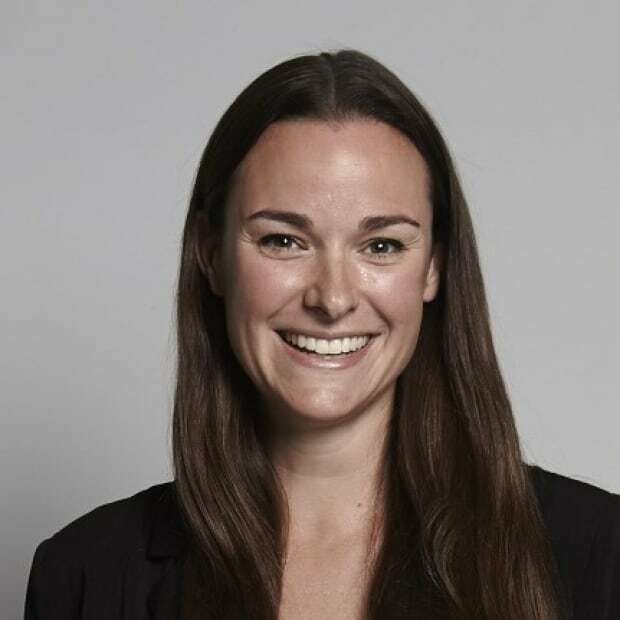 Torah received her PhD in molecular genetics from the University of Alberta and now teaches at the University of Alberta and MacEwan University. She's the co-creator of scienceinseconds.com.